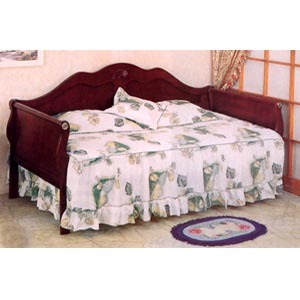 Cherry Finish Sleigh Style Daybed. Easy To Assemble. Strong Construction. Also Available (Not Included In The Price) Daybed Link Spring, Mattress, And Pop Up Trundle. Dimensions: 85 In.(L). X 40 In.(W). X 42 In. (H).